Some antidepressants especially the group called Selective Serotonin Reuptake Inhibitors (or SSRIs) such as Paxil can cause weight gain even shortly after starting the antidepressant treatment. This is a very frustrating problem especially for patients with depression as this poses a new challenge for them to face on top of the stress and mood instability they have. Many patients are willing to quit the anti-depressant medications simply because it causes weight gain. Some patients can gain as high as 30-40 pounds in a short time, which adds difficulty in weight reduction as this needs a lot of measures that add to the stress of these patients. There are no clear reasons why people gain weight after starting the anti-depressants. Some people say that this could be due to the fact that excess serotonin available after the use of the SSRIs can be offset by taking an excess carbohydrate which reduces the amount of serotonin in the brain and increases the appetite, hence gaining more weight. 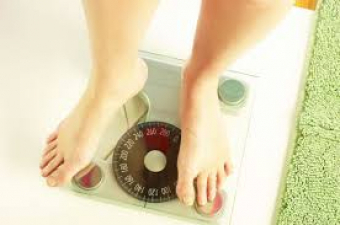 The actual reason behind weight gain in patients under antidepressants remains unclear. The best way to face this problem is to look for the root cause of the problem. So, if these patients develop high cravings for sugars and carbohydrates, this cab solved by giving them a slow release carbohydrates or complex carbohydrates sources and certain herbal treatments and acupuncture to curb their appetite. On the other hand, if the reason was an imbalanced diet with a mixture of proteins and simple sugars, this can be corrected by adjusting the different dietary components to balance the meals.